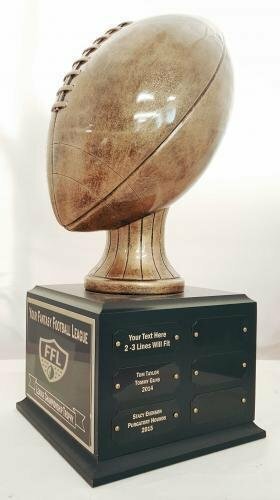 This is a 19" tall Fantasy football trophy. The trophy has a pressboard base (7" Square), painted black, with a Silver Finished Resin Lombardi Replica. 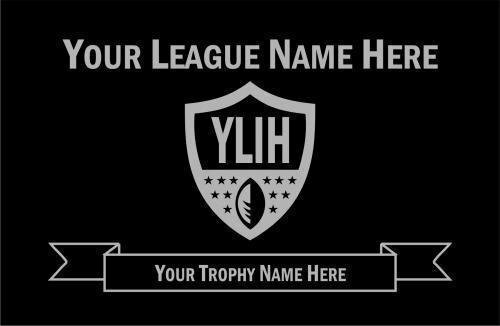 Includes header plate personalized with your league info, including: League Name, Custom letters in FFL logo and Custom text in banner area. This is an 18" tall Fantasy football trophy. 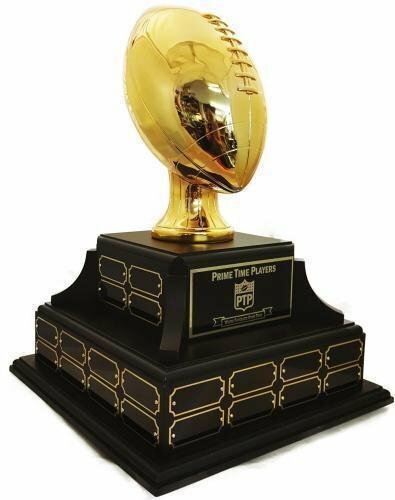 The trophy has a pressboard base (7" Square), painted black, with a Metallic Gold Finished Resin Football. 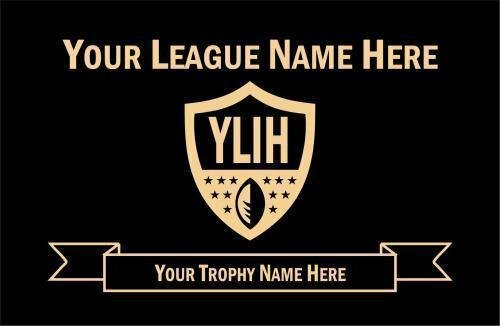 Includes header plate personalized with your league info. Comes with 18 individual plates for annual updates. Engraving of individual plates not included. See customization options when you add to cart to view plate and engraving options. If you want a basketball or other option, please contact us at 1-800-929-9110. The Establishment Trophy. 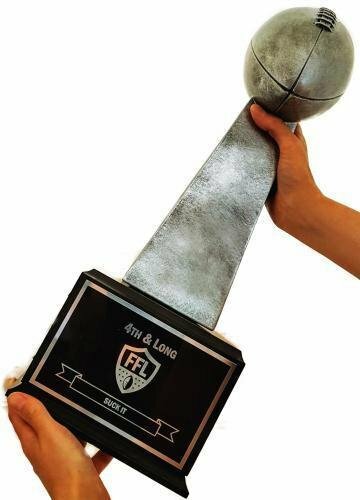 For Serious Leagues. This is a 19.5" tall Fantasy football trophy. 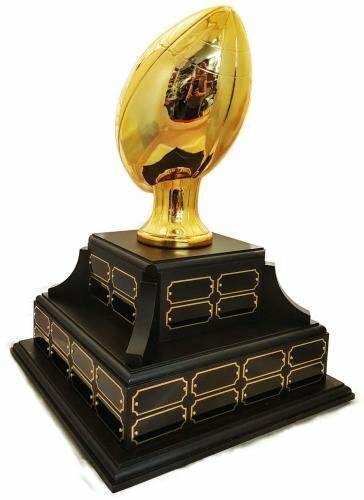 The trophy has a Genuine Walnut Base (12" Square) with Bronze Finished Resin Football. Includes header plate personalized with your league info. Comes with 36 individual plates for annual updates. 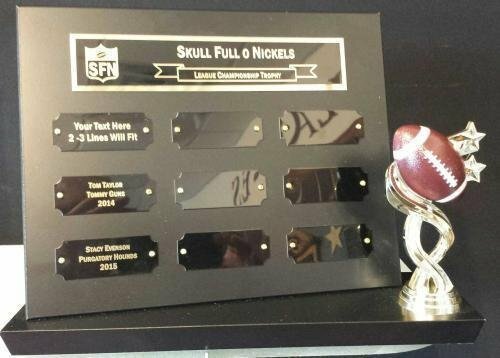 9 Year Fantasy Football Billboard Trophy is a 9" tall x 12" wide desktop award with 9 plates for annual winners. Engraving of league name on header plate included. Engraving of individual plates not included. See customization options when you add to cart to view plate and engraving options. If you want basketball or other option, please contact us at 1-800-929-9110. 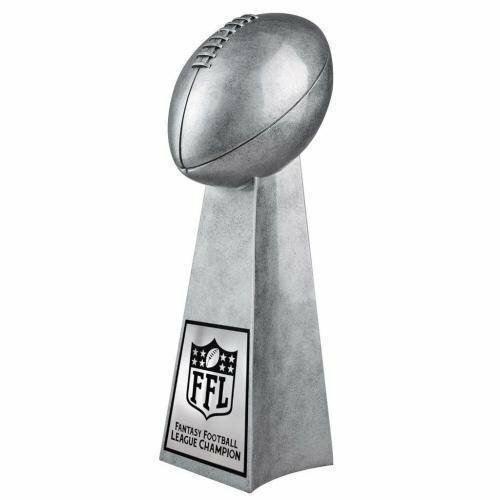 Fantasy Football Trophy is a Custom Award 26" tall x 9" wide with 10 plates for annual winners. Engraving of league name on header plate included. Solid genuine walnut base. This is a 21" tall Fantasy football trophy. 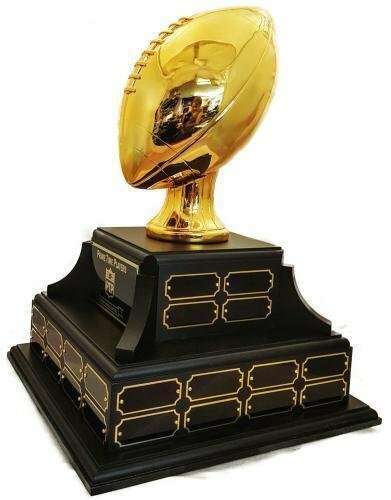 The trophy has a Genuine Walnut base (14" Square), painted black, with a Metallic Gold Finished Resin Football. Includes header plate personalized with your league info. Comes with 44 individual plates for annual updates. Individual plate size is 7/8" x 2.5" and they are mounted to the base with 2 screws. This is a 6.5" tall Fantasy football trophy. 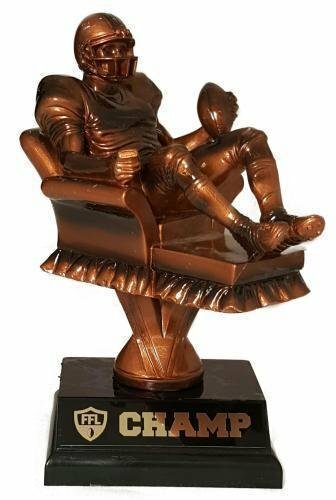 It features a heavy resin Armchair Quarterback trophy figure on a black plastic base. 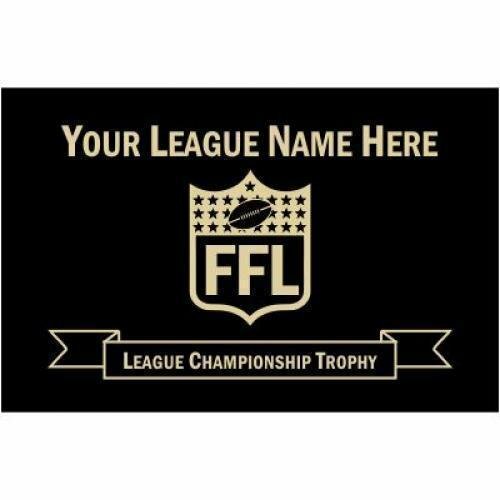 The base features the FFL logo and the word "CHAMP." You have the option at checkout to personalize your trophy with different text and/or a different logo. 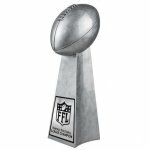 Display your fantasy football dominance with this great fantasy football trophy! 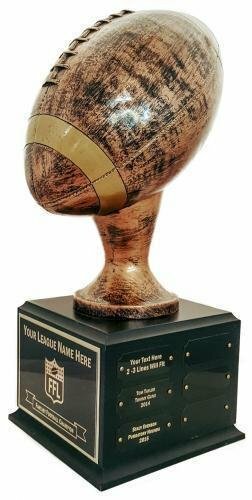 This Fantasy football trophy comes in two sizes, 9" and 14". It is made of durable resin. 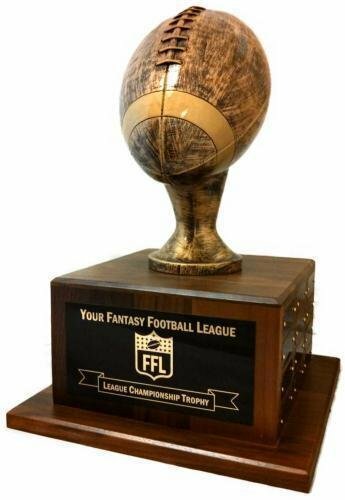 The engraving features the FFL logo and the words "Fantasy Football League Champion." This is a great keeper trophy for fantasy football.